Sale of “Coming of Age the Rite Way" for family, friends and colleagues. Order now for 30% off. Enter promotion code ASFLYQ6 at checkout. 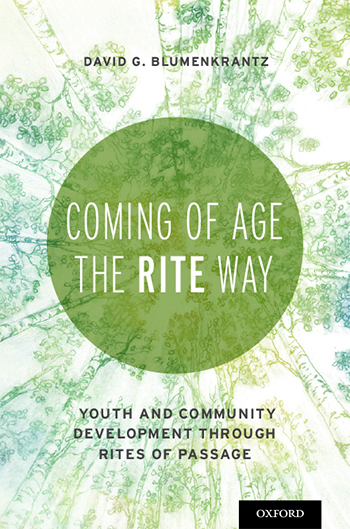 Coming of Age the RITE Way: Youth & Community Development through Rites of Passage addresses the absence of community-oriented rites of passage. This book is distinguished from others in that it combines almost fifty years of scholarship and practice to examine the concepts of rites of passage and sense of community, as it exists in literature and life. It focuses on the reciprocal relationship between rites of passage and sense of community and ways for it to impact the development of children and the health and adaptability of their community. This text raises and answers some of the most fundamental questions facing parents, schools and communities; How do we raise our children to be resilient, self-reliant, capable adults who are competent and with compassion that is manifested in civic engagement for social justice? The book sets forth guiding principles and clear methods for putting into practice a whole systems approach to youth development through rites of passage. The approach involves connecting and enhancing environments and building competencies, which promote the positive development of children and youth in their families, in their schools, among their peers in their community and with a strong connection to the natural world. It provides extensive narratives and case studies to illustrate how a framework of rites of passage is used to weave a common language throughout the community and links techniques for youth development with prevention, identification, intervention, and treatment and strengthens the fabric of community support. "David Blumenkrantz offers a compelling—sometimes provocative—vision of rites of passage as a powerful yet neglected responsibility, resource, and focus for community and youth development. He weaves together his practical experience working in communities with stories and insights from many divergent sources to offer an integrative vision of rites of passes that transmit values, ethics, skills, and commitments from generation to generation. In the process, he shows how intentional rites of passage transform adolescence from what too often has become a time of alienation and rolenessness into a meaningful journey into both individual thriving and community strength." - Richard Owen Geer, PhD, community practitioner, Founder Community Performance International, co-author of Story Bridge: From Alienation to Community Action.